The rate at which Bloggers fails online is going higher everyday because of the fact that most of the new bloggers don’t really understand Blogging before they venture it. As a matter of fact, am a living witness to the above statement, Before finally discovering what it takes to be a blogger, I took me many years of trials and errors with much spending and at the end after mastering the whole act of successful Blogging i was like “If only I’ve learnt this since the first day of Blogging perhaps i should be a millionaire by now” but how could that have happened without the trails and errors which were only the partway to success. One thing that makes Blogging difficult is when you don’t have any online or physical mentor to show you things the way it really works, You will only learn the hard way and if care is not taken, you may even get tired and quite on the long run. With my many years of trials and errors and the experience gathered over the years, I now understand what it takes to create a successful blog that makes money online with ease. I implemented these strategies on the two blogs i created and behold the result has always been awesome. Now all i can say is: Blogging is the easiest online job to make success and earn money online in no time. But you need to know how it works. I understand before landing on this page, you already have interest in Blogging. Perhaps you’ve created a blog but only struggling to make it noticeable online. The main reason why 96% of so said bloggers quite is because they couldn’t get traffic to their Blog even after working hard all day and night; It ones happened to me so i can tell more about it. How does it feel to Create a Blog without traffic? It’s like opening a shop without getting buyers to purchase your products. hmmm that’s just too bad dear. So because many new bloggers don’t know how to drive traffic, they just have to quite to avoid vain work. if you’re among them, you did right, but come to think of it the other way round. What if you find the solution won’t you continue? Am sure you will,considering your initial effort when you started Blogging newly. You failed earlier not because of your unseriousness but because you’re were only doing the right thing in the wrong way and with the wrong practices. Can traffic really be a problem? Traffic isn’t supposed to be a problem to bloggers, but it will remain a problem if you haven’t learnt “HOW TO”. Even though there might be many other things that makes up successful Blogging, The major thing to create and own a successful blog has always remained good writing skills and SEO. For by grammar shall no blogger prevail. Being a good writer means having the ability to write what your readers can read and understand. Am sure you have the writing skills it takes to be a blogger that makes money online, after all am not a better writer than you yet am making money online even with my newly created blog BlogsNg.com which is ranking every here and there on Google. Even after learning how to write appealing blog post which everyone would love to read, Without SEO skills you will still fail as a blogger. Some bloggers will tell you SEO means submitting your site and sitemap to google and other search engines but search engine optimization(SEO) is more than just submitting your site and sitemap to Google as that’s just the beginning and the basics to rank on Google’s front page. Some will say “write unique and original articles:” Yes that has always remained the traits of all bloggers who understand what is blogging but that won’t make you get massive traffic demanded from Google. SEO skills: Means everything it takes to rank on Google search engine.. You already know how to submit your site and sitemap to Google i guess, You’ve also learnt to Write but here’s what you need to learn in addition in order to become a pro blogger ranking your websites on Google easily without stress. So is that all it takes:? Sure there’s nothing more to become a successful blogger in your niche. The reason why am unique and successful in Blogging is because people can find my site from Google search engine . I can easily get good amount of traffic from Google even when am asleep. If you can do likewise, You will also be a successful blogger since traffic means money in Blogging. Without traffic, who will click your Ads? , Who will buy your products? What else do you want than writing any blog post and ranking Google’s front page for them as a blogger? Am sure that’s all you need because that’s what every blogger needs to be successful since ranking on Google front page means traffic and traffic means money. In a simple definition, Being a master of keywords research means having the ability to find the low competitive language or terms people are using to make searches on Google search engine. If you can possess the ability to find keywords that are less competitive and write about them, in no time you will rank for them because many other bloggers haven’t talked about it yet. The reason why you’re not ranking front page on Google is because you’re always targeting the same keywords that Naij, Infoguidenigeria,and other big websites has already Blogged about so how did you expect to rank with your new born blog?. Instead of using the same terms those big websites has used in writing their blog posts , i will rather look for lucrative keywords that people are also using to search for the same thing but in a different dimension. Let say He blogged about How to make money online: Instead of Blogging the same thing knowing well that many big blogs has talked about it already and there’s no way i can rank for it, I will find keywords like How to make money online from home with android phone, How to earn online in Ghana, Mind you that’s just example. If you can use your keywords research skills to find alternative keywords talking about the same thing, Why the big blogs keep getting their traffic for how to make money online, You keep targeting the other visitors using different keywords to find the same searches. With this, you will easily rank your new blog since most of this alternative keywords are highly demanded with less competition. I will not only teach you How to do keywords research and find low competitive keywords which people are searching for on Google which no one or very little bloggers has talked about without using any keywords research tools, you will also learn the act of writing SEO friendly blog posts that will also appeal your readers. It’s hard to rank a new blog, But with keywords research, it has been very easy for me. Privacy protected:………….. I won’t share them here because competitors eyes are everywhere. You can inbox me for them if you wish Because there’s always need for proofs. That’s analytics reports for 2months and some days old Blog. all because the blog is built with the skills it takes to become a successful blogger. Alexa Ranking also Reduced in less than three months: am sure you know what that means. =>How could i have known that people are searching for Blogspot SEO Tutorial and its easy to rank. =>How could i have known that people are searching for Blogspot SEO script and it’s easy to rank? With my newly created Blog, I can now find keywords that will drive traffic from Google and rank them in no time. Let me end it here. 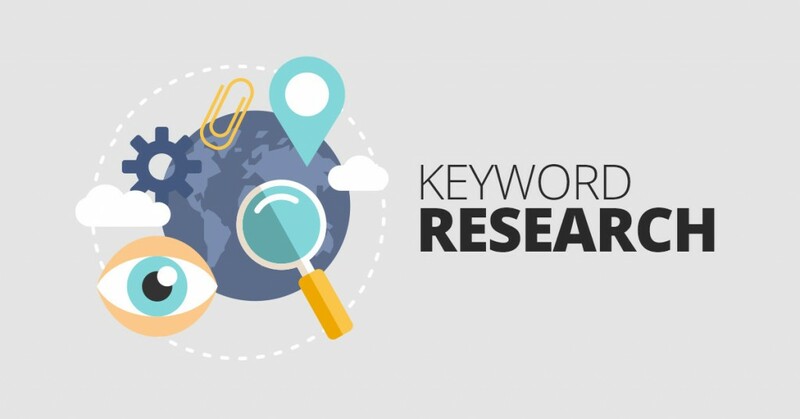 Would you Want to become a master of keywords research? I mean learning how to find easy to rank keywords in any niche at all. Entertainment, Tech, Howtos,Health, and Downloads to list but few. I don’t like talking too much and if you’ve been my fan you will understand. If you’re a to charge someone for making him a successful Blogger that will earn for life am sure your price won’t be as low as the above. What you’re about to learn will turn you on again and make you reach your dream to becoming a successful Blogger so it’s over to you. Let me not talk much so it won’t be like am begging you to buy and reap you of your hard earned money. If you’re Interested or if you have any question You can Contact me with below details. Mind you am you’re not coming here to learn how to find keywords using SEMrush, Ahref. or any other tool But it’s a magic you can’t understand until you learn. Is it am eBook:? Yes o my brother this is even more than eBook and that’s why i called it a workBook because even primary school children can understand my writing very well. Just like i write on my website that’s how i do it everywhere. The eBook goes with clear explanation with screenshots for easy understanding. More question ? You can ask them through my contact details and you will get answers. I always work online From 8A.M to 6PM after which i go offline. (Knowledge is Power). Am not in hurry to make sales from you. You can contact me and i will give you keywords to blog about. if you rank for them, you may buy or leave if you want.